With time people have evolved themselves a lot and adapted the recent technologies so quickly that they are keen to know the insights about them. It is crucial to cherry-pick laudable developers irrespective of the mobile app you wish to get developed, uber like app development, food ordering app, etc. 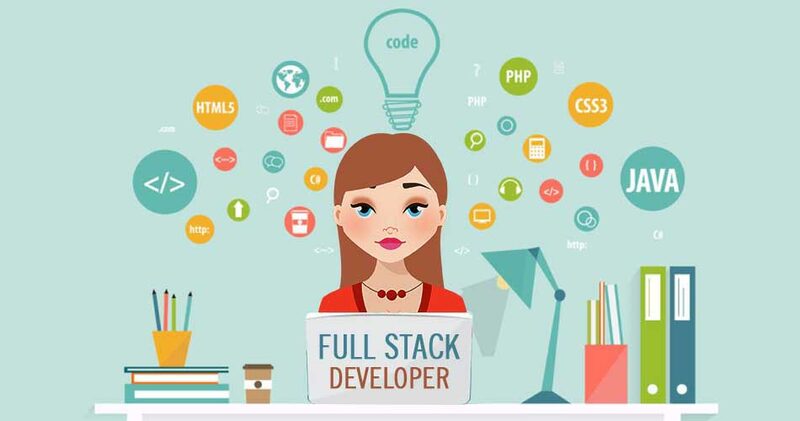 To be precise, a full stack developer is one who is able to work on both the front-end and back-end portions of an application. Front-end is that part of an application that the user will see or interact with. The part of the application that handles the database interactions, logic, user authentication, server configuration etc. shows the back end of any application. What Full Stack comprises of? Full-Stack is the collection of a series of technologies needed to complete a project whereas the word “stack” means a collection of sub-modules. And when these sub-modules combine together they form a great function. The developer has a wide range of knowledge about frontend as well as a backend so he/she can make a prototype design for a product very quickly. Therefore, a full stack developer has more valuable ideas towards the product design and are more sensitive towards techniques & products being used in the project development. If you see from another perception, a full stack developer provides help to everyone in the team & significantly reduces the technical cost of the team. Ever wondered of becoming a full-stack developer? Not only one but a bucket full of languages is what a full stack developer needs to learn. As most of your business processes need to be written in languages like PHP, Java, C+, Python etc., you need to be proficient in multiple programming languages. The basic part lies not only in knowing these languages but also to be familiar with the structure, design, implementation, and testing of the complete project. For example, if you are preparing a project in Java then you need to master the object-oriented design & development design patterns, J2EE based components of the development and so on. The database plays an important role in any project development. If you are planning to become a full stack developer then you should have a detailed knowledge about one or two databases and should know how to interact with the database. Presently, the popular database is MySQL, MongoDB, Oracle and so on. If you are planning for larger projects, MySQL or commercial Oracle are the expected ones from a Full Stack developer as the back-end database. Whereas memory databases, Redis, can be used for caching to improve system performance. The design of any project or product plays a major role in the Full Stack development. The skill of basic prototype design, UI design, UX design are some of the basic requirement a Full Stack Developer should have. According to a few Full Stack Developer experts, it was known that becoming a Full Stack Developer overnight is not at all possible. What one can do is to laydown the technical foundation, strengthen the core skills and keep learning for more.